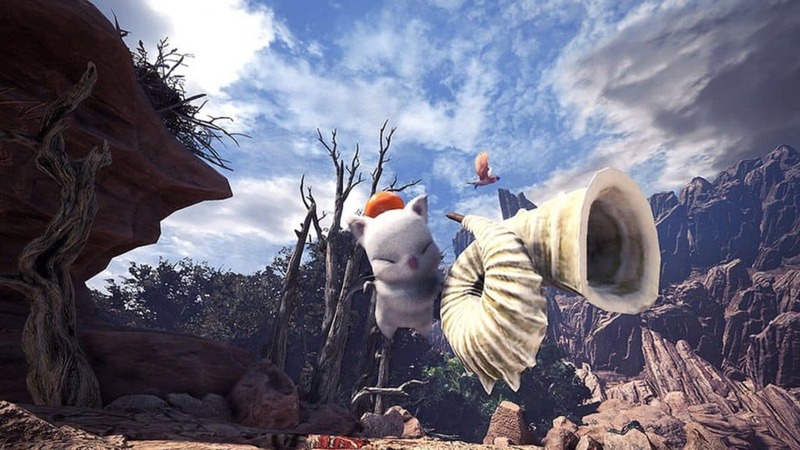 With the Monster Hunter: World PC release right around the corner, Capcom has also announced that Final Fantasy XIV will crossover into the company’s latest monster hunting game via the the Monster Hunter: World Behemoth update. Behemoth is on of Final Fantasy’s toughest creatures. Now, for the first time, the monster is jumping universes from Final Fantasy to that of Monster Hunter… and it looks terrifying! You can see exactly how scary it is (as well as a few other additions) in the official Monster Hunter: World Behemoth announcement video (embedded below). The video reveals a great deal about the coming Final Fantasy and Monster Hunter: World crossover event. The most obvious little easter egg in the trailer is, without a doubt, the incredible Monster Hunter takes on the Final Fantasy theme. However, any fan will also recognise the rest of the references throughout: from Moogles to Dragoon armour and weaponry and, last but not least, the Behemoth! The Behemoth is an extremely aggressive monster, and the trailer clearly shows that it packs a punch. During its hunt, monster hunters will get a red bar at the top of the screen that spotlights how much the player is the focus of the monster’s attacks – this mimics the same red bar from Final Fantasy XV, while the Behemoth’s design also closely resembles the Behemoth from Final Fantasy XV. The beast has a multitude of both physical and magical attacks, as you might expect. It has a strong rush attack, as well as various thrusts and kicks. When needs are met, the Behemoth can also call down meteor strikes and lightning bolts. 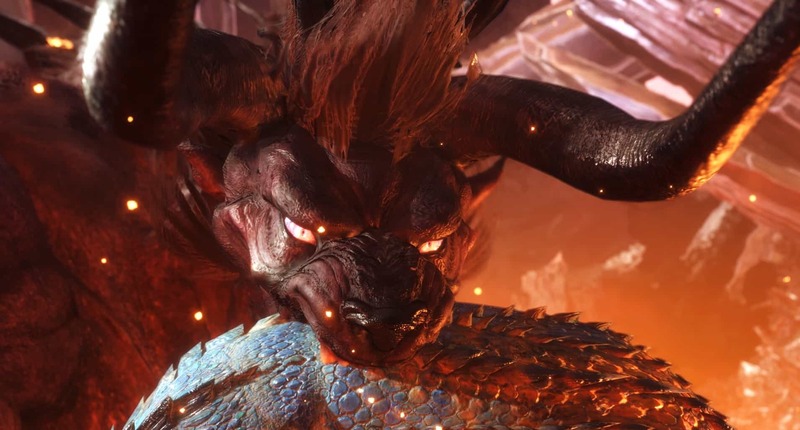 Capcom states that the monster has a special move of sorts called “Ecliptic Meteor” – an ultimate move that can one-shot hunters who do not seek shelter quickly enough. It is safe to say the Behemoth could trump even the likes of the Deviljho! In order to hunt the absolutely colossal beast, players will need to be at least Hunter Rank 16. With that said, Capcom states that the monster, once added to the game, will be there forever as a permanent resident of the New World. 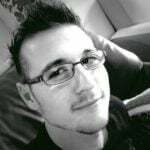 This means that any newer players will not need to rush to enjoy the content. It is safe to assume that, like all other monsters in the game, the Behemoth will have its own set of craftable armour named after it. However, Capcom did not confirm whether the fancy dragoon armour and weaponry shown in the trailer are precisely that, or whether they are event-specific outfits that could potentially be limited items. As a plus, Capcom showed off some Monster Hunter: World Behemoth gameplay during a recent live stream. Even if I say so myself, it look crazy good! The entire stream is embedded below, but if you are only interested in the hunt, you can start at 30:30. It is also solely in Japanese. 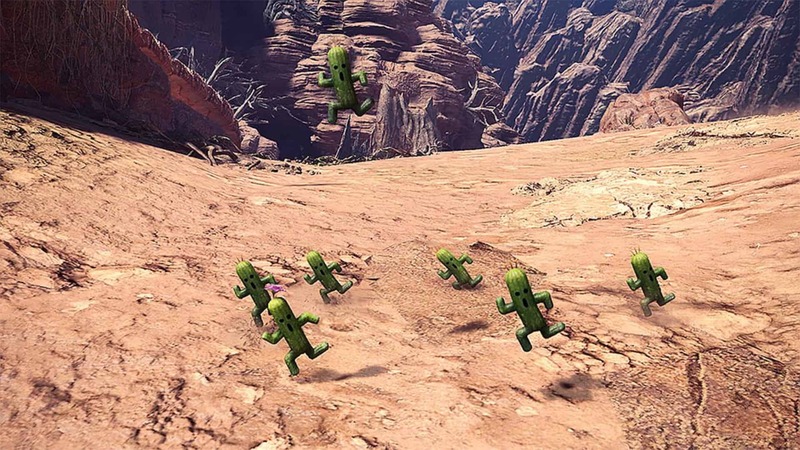 I have already mentioned that special armours and weaponry will come to the game, however, Capcom says that players and fans will also see Cactuars roam about, a set of Moogle armour for your Palico, and more. The update is free for anyone who owns the standard version of the game, and will go live on 1 August 2018, just a week before the game releases on PC! With that said, the Behemoth will not come to Monster Hunter: World on PC any time soon. This is because Capcom decided to alter the release order of special monster content and crossover events to ease PC players into the game.